Leveraging on our enriched industry experience, we are engaged in offering Industrial Machine Painting Services to our esteemed clients. These services are offered by our expert professionals who make use of the premium quality paints. We are one of the reliable organizations engaged in undertaking Industrial Structure Painting Work. Our adroit painters and designers help in rendering services such as on-site painting and blasting. To suit the budgetary constraints of the clients, we offer our services at affordable rates. Our organization specializes in rendering in painting and touch up services. We analyses the requirements of the clients and then utilizing appropriate paint, we cater to the exact demand of our valued clients. Depending on the need for dust proofing, dirt proofing and moisture resistance, we render custom-designed solutions for the clients. 4. Factory, workshops- internal and external paintings. Leveraging on the rich industry experience, we have been able to render excellent Engineering Services. We are basically involved into improving the function and reducing the cost of machinery. Our services are widely appreciated by the clients for advanced cutting edge designs, value added services and industry standards value engineering process. 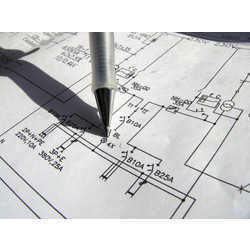 Looking for Engineering Services ?